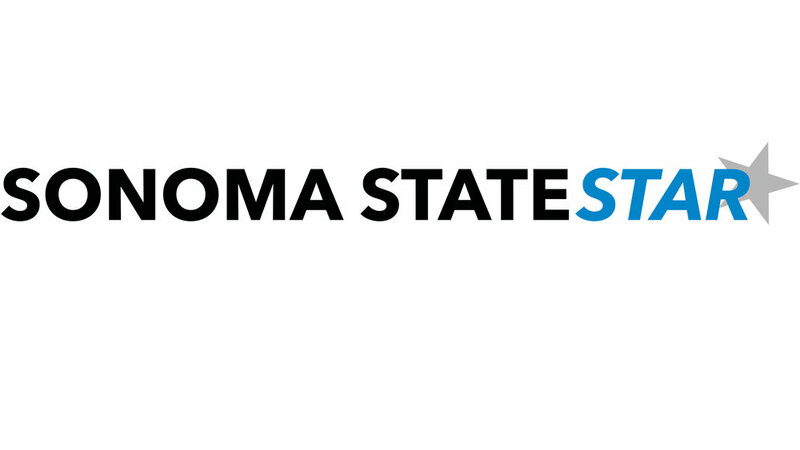 Sonoma State University’s nationally ranked women’s softball team faced off against CSU Chico this weekend with two back-to-back doubleheaders. A win-lose pattern developed on Friday afternoon, when the girls dominated the Wildcats 5-0 in the first game, followed by a 0-1 loss. 24 hours later, the Seawolves beat Chico 6-5, but again lost the second matchup, 0-5. In the first event of the weekend, the Seawolves put the Wildcats away early with a five-run second inning. With two outs and bases loaded senior Olivia Lucchese stepped to the plate and put Sonoma on the board with a liner to left field. Alison Strycula reinforced the lead with a two-run single, shortly before Alex Flores contributed with a two-run triple to right field, earning Sonoma the 5-0 win. The tables were turned in the second matchup on Friday, when Chico’s Ari Marsh hit the double that gave Chico a 1-0 lead in the fifth inning. The Seawolves fell short in the remaining two innings, unable to score against Chico’s pitcher Cheyenne Sandoval. Saturday’s games played out similarly to the day before, with Sonoma gaining the first victory of the day against Chico. Freshman Alee Balanon gave the Seawolves an early advantage, scoring Olivia Lucchese for a 1-0 lead. Sophomore Jordann White batted in an additional four runs in the second and fourth innings, but the Wildcats fought back in the fifth, tying Sonoma 5-5. In the bottom of the sixth, White again pulled through for the team, scoring Strycula for the game-winning run. White went 3 for 3 at bat, with an impressive 5 RBIs in the first matchup on Saturday. Chico secured another win in the second game on Saturday, scoring five runs throughout the second, fourth, fifth, and seventh innings. “As a team we fought hard in both games, but it came down to hits in the second game. We didn’t execute and string hits together like we did in the first game, but Chico’s pitcher was excellent and just showed up in the second game,” said White. After splitting both doubleheaders this weekend, The Sonoma State women’s softball team now holds a 4-5 overall record, 2-2 in CCAA. “Our team works extremely hard to prepare for the season, and that preparation gives us a lot of confidence going into each game. Our expectation is to beat each and every team we step onto the field with,” said Strycula, confident that the Seawolves will have another successful season.